As of Spring 2010, over 100.000 Hungarian medieval charters have been fully digitized and made available by the Hungarian National Archives. This means that they are fully digitized, with high resolution photos of the charters, with additional photos of seals, and all this material is incorporated into a fully searchable database. In addition to their varied content and sometimes beautifully preserved seals, a number of these documents are true masterpieces of manuscript illumination. This is especially true of armorial letters, which usually include a depiction of the family's newly given coat of arms. 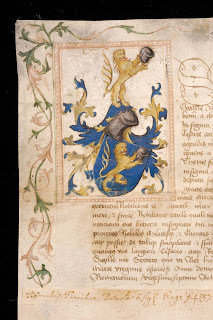 The series of illuminated armorials started in the period of King Sigismund, and stretches right to the end of the medieval Kingdom of Hungary (later as well - but the coverage of this database goes up to 1526). You can check out a few beautiful examples, if you carry out a search by serial numbers. You will be asked to install a small image-viewing software, and you'll have to click around until you get to the images. For example, check out these armorials: (Dl) 13.000; 50.521; 104.871; 105.029. If you would like to see more, enter the search term "címereslevél" in the search box as "document type". 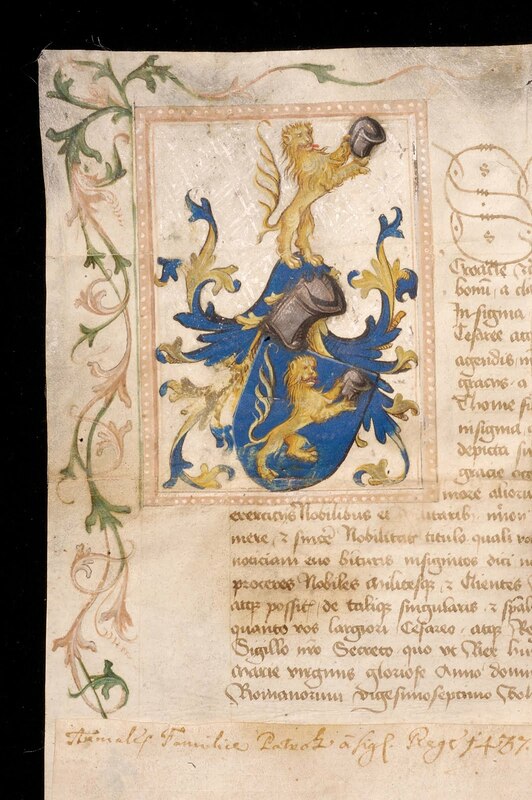 This gave me 149 hits - many more armorials are preserved in various other archives not covered by this database. I wouldn't call this a very user-friendly system, but with a bit of patience, the database can give you all the information these charters hold.